Hey, DMAers….I might have made that word up, but I’m pretty sure that somebody else must have said it before, so I won’t feel too guilty about that! 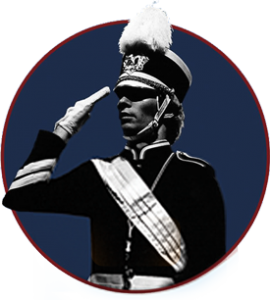 I’m writing this blog because I’m getting ready to judge some drum majors at a tournament this weekend, and it’s got me thinking. Being a drum major can be such a tremendously rewarding experience. 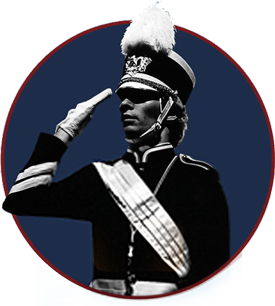 Your band director has trusted you with the responsibility of leading your peers! You get to conduct your band most every day! At least one person in your band thinks you’re the coolest thing ever! And I have no idea how to judge that last part. How well do you wear the uniform when you’re not actually wearing the uniform? Do you carry yourself appropriately, with a full understanding that so many people in your band take their cues from you? You learned what that means, and for at least a week with us, you lived it everyday. I know how the story goes…we get pumped at DMA, we come back to our bands and we have so many hopes, and then we realize it’s much harder without a bunch of our peers that feel the same way. Each and every day it gets a little tougher to recover from the grind of all the other stuff that goes on inside and outside of the magical world of band. If it was easy, anybody could do it. Your band directors chose you because of their faith in your unique ability to do it, and to do it the best. And because you do it so well, others learn to do it a little better each day. So while a drum major judge can’t judge that, all of the other judges sure as heck can. It’s in the way your band stands absolutely still at attention, with their eyes swelling with pride and anticipation for the performance they’re about to give. It’s in the way they make it through that impossible rehearsal that allowed that musical impact to really knock the audience back 10 feet. It’s in the way your color guard can’t help but smile so big while they perform to the audience because they know they’re in the best band ever. That’s why you can never forget that a great attitude is more than just important, it’s imperative. And while you may not win any individual drum major awards, there is at least one person in your band who knows that you are the coolest thing ever, and their evaluation is far more important than mine could ever be. Best of luck to all of you as you make the push into contest season! Never forget the lessons you’ve learned.